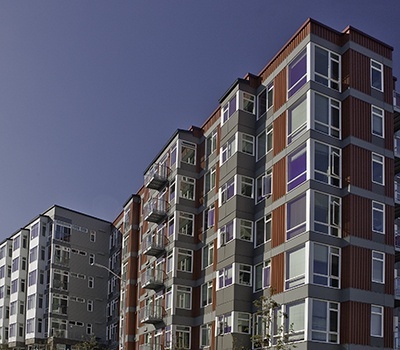 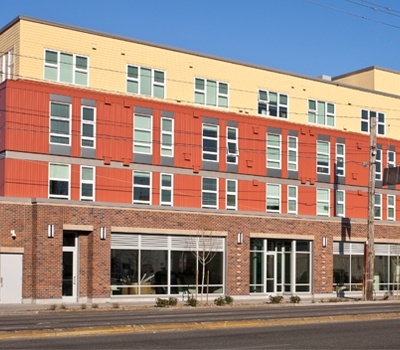 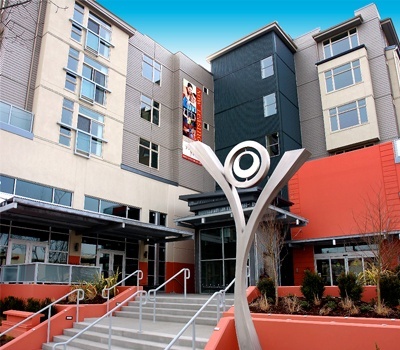 The 12th Avenue Arts building contributes to the revitalization of the Capitol Hill neighborhood while satisfying the longtime desires of two stakeholders – to provide the community with additional performing arts space and more affordable housing, and address the City of Seattle’s need for additional police parking for the adjacent precinct. 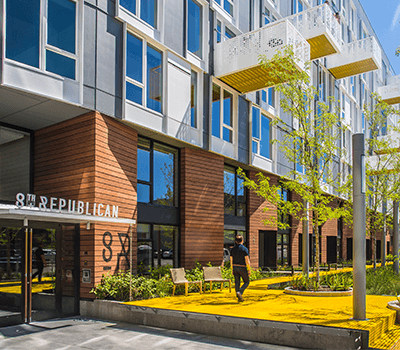 The result redeveloped the existing Seattle police parking lot into an eight-story mixed-use facility that provides an artful blend of cultural, community, and municipal spaces. 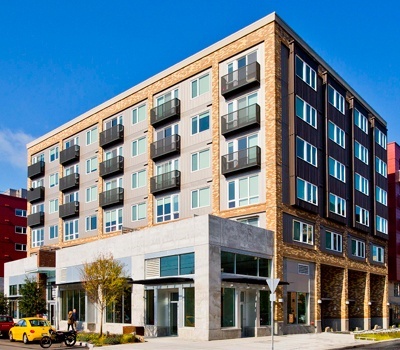 Consisting of eight levels, the building contains two levels of 111 stalls of below-grade police parking, retail at street level, office space, 88 workforce housing units, and two theaters for the performing arts. 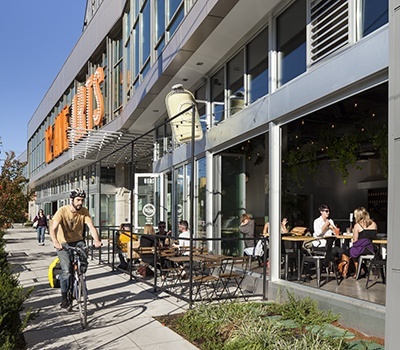 Our team’s ability to remain flexible throughout the design process allowed us to meet the often changing requirements for this diverse group of stakeholders. 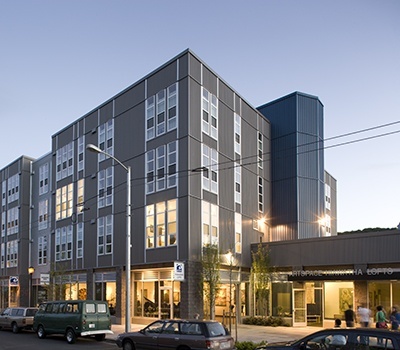 The wood-framed over concrete building housed a challenging structure due to the fluctuation of interior space heights, the need to work around varied openings in the floor slabs, and a shoring system on all four sides given the project’s dense urban location. 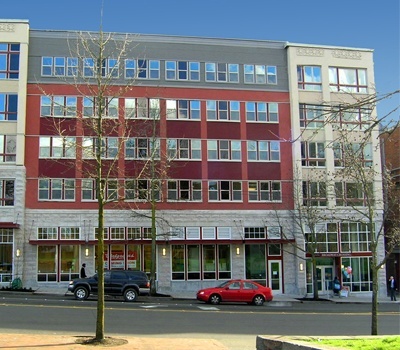 Our successful coordination with Seattle DPD allowed us to establish a seismic performance basis that meets essential facility requirements for the police parking levels while avoiding unnecessary impacts to the construction cost of the retail and residential levels.Our civil team faced added complexity in the permitting process, which required meeting strict deadlines. 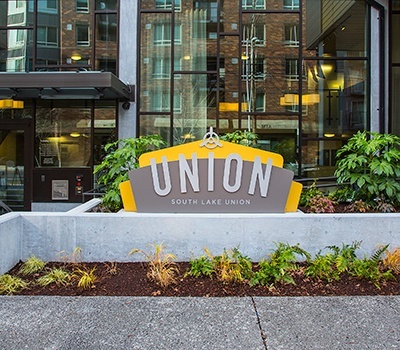 We served as the interface between SDOT and other stakeholders to facilitate communication between the parties and keep the project on pace with an aggressive schedule. 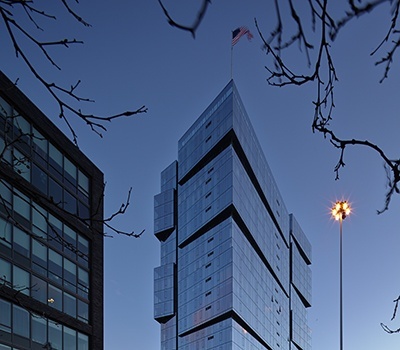 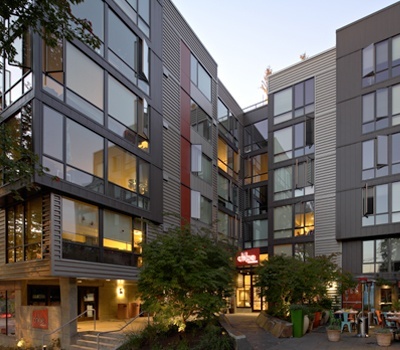 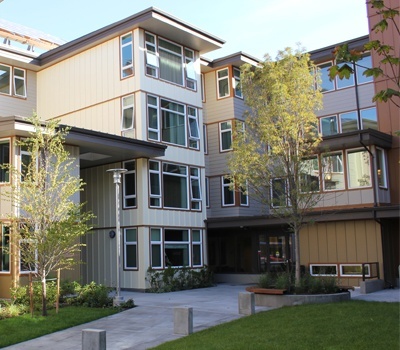 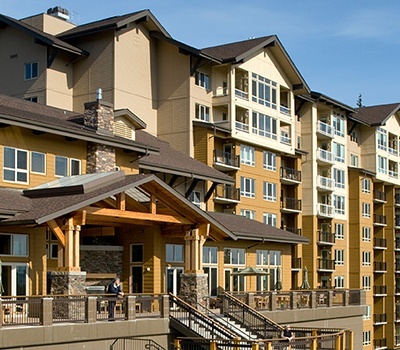 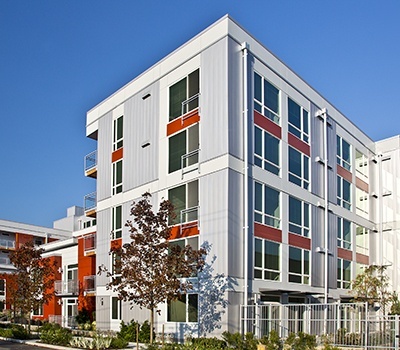 Pursuing LEED Silver, ULI 2015 "Global Award for Excellence"